Horse slaughter: What would Jesus do? Proponents of horse slaughter have reared their heads again and are braying loudly. Why? Senate Bill 1176, The American Horse Slaughter Prevention Act, has been introduced into the 112th Congress with bipartisan support. This bill will “…amend the Horse Protection Act to prohibit the shipping, transporting, moving, delivering, receiving, possessing, purchasing, selling, or donation of horses and other equines to be slaughtered for human consumption, and for other purposes.” Apparently there’s much to dislike here if you’re in the horse industry and rely on institutional exploitation to keep your concerns humming along. Then again, if you possess a heart and a sense of justice, there’s much to abhor about horse slaughter (graphic). Along comes Willing Servants, a western Montana Christian horse rescue group advocating for the slaughter industry. (Yes, you read that correctly.) Willing Servants formed in response to a heinous horse abuse case and has done much good for many individual horses and humans. But for horses as a whole? Judge for yourself. A widely-circulated e-mail from Willing Servants’ founder in response to S. 1176 lists 13 points supporting horse slaughter, starting, um, in the beginning with this: “The harvesting of animals is a biblically sound practice.” Biblically sound? So is stoning to death your unruly child. Capital punishment for the little monster is mentioned no less than four times, which surely qualifies it as biblically sound. Let’s continue. “We have between 100k – 150k unwanted horses I (sic) this country with no other solution in sight.” No solution in sight? What say the industry breed fewer horses? Would it surprise you to learn that the author is a horse breeder? I didn’t think so. “Horses have historically been consumed as food in this country.” Is not “historical tradition” the lamest of reasons upon which to mount a defense of unethical acts?!? Here’s why we can’t get even minimal standards for puppy mills passed out of legislative agriculture committees: “We recognize that eliminating the harvesting of this animal of livestock opens the door to for (sic) the taking of rights concerning other animals of livestock such as cows, pigs and chickens.” The rights referred to are the rights of humans, of course, to kill their property–horse, chicken, whatever. Get a foot in the “no slaughter” door for one and it’s a slippery slope for all. A digression: The author is far from alone in her dishonest use of the word “harvest” (she even calls slaughterhouses “harvest houses”–kid you not!). Take this comment, for example, from Australia’s savethekangaroo.com: “They use euphemisms such as ‘humanely harvesting’ a ‘renewable resource’ in an attempt to cloud the fact that they are authorising the slaughter of their country’s wildlife for profit.” Whether we’re talking wild kangaroos in Australia or domestic horses in America, the exploiters’ vocabulary is the same. “Horses have a very valuable product to offer and can feed the hungry with meat that is higher in protein and lower in fat than beef. It is extremely disrespectful to waste this valuable, renewable resource.” Horse slaughter as the humanitarian alternative? 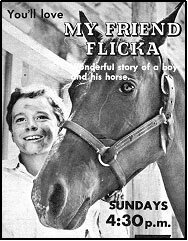 I’m starting to feel queasy what with all this talk of harvesting a renewable resource–regardless of whether we’re talking about an “animal of livestock” or My Friend Flicka. What’s next, factory farmed horse meat? (Imagine a horse named Hotdog, or Frank…ending up in one.) And look, if you want to talk about disrespect of an intelligent, sentient being, look no further than this video, created for a former House bill a couple years ago. “It is environmentally unsound to dispose of 100k – 150k barbiturate euthanized, toxic carcass in a landfill, when far more productive alternatives are available.” Horse slaughter as the green alternative? If we’re genuinely concerned about environmental impacts, let’s take a closer look. In 2007, the three foreign-owned U.S. horse slaughter plants were shut down under state laws in Texas and Illinois. All three horse slaughter plants amassed numerous environmental violations and overwhelmed the waste water infrastructures due to dumping of blood, entrails, urine, feces, heads and hooves. The Dallas Crown horse slaughter facility had been in operation in Kaufman since the late 70’s and from the beginning had caused problems both economically and environmentally. “The slaughterhouse constantly flooded the town’s drinking water with blood and tissue – literally coming out of the taps – and had never complied with city water standards, or paid fines” (from congressional testimony). Would Jesus wield a captive bolt gun in a slaughterhouse? Do the pro-slaughter faithful really believe that God condones this (graphic)? If I were a horse and saw these Christian rescuers heading my way, I’d run like hell. SB 1176 has 17 cosponsors to date. To check the list, visit The Library of Congress/THOMAS and follow these steps: Near the top, you’ll “Select Congress.” 112 isn’t an active link, so click 111; when that comes up, 112 will be active, so click it now. Next, find “Enter Search.” At “word/phrase” box, type American Horse Slaughter Prevention Act and click search. Here you can get a list of cosponsors and track the bill–it was referred to the Senate committee on Commerce, Science, and Transportation on 6/9. Consider asking your senators to co-sponsor it. For some recent good news from the House, check here. It is always the animals that pay the price when congress wants to make money. I am so sick.. I petitioned several times to end the slaughter of our equines and now it is being introduced again. I am so upset with the human race..
wow. It is “disrespectful” to waste the horse’s meat. I guess they don’t mean disrespectful of the horse, although your link, under “much to dislike”, leads to a United Organization for the Horse statement that it IS disrespectful to the horse to waste his or her dead body. (By that reasoning, the funerals for respected members of UOH could be, um, a little gory…) . Sigh. Anyway sorry to say, religion and respect for animals’ lives don’t mix. At least I’ve never come across one that did. The key here, as you point out, is the god of “property rights,” not any god of sentient beings. I just don’t have any more words for this. I’m going to go hit my head against the wall a few times. Sigh. ANY GOD THAT DEMANDS/CONDONES THE KILLING OF DEFENSELESS ANIMALS AND THE EXPLOITATION OF ANIMALS IS NOT WORTH WORSHIPPING. THESE MORONS ARE USING THE NAME OF GOD TO FURTHER THEIR OWN SICK INTERESTS. MAY THESE “WILLING SERVANTS” ROT IN HELL IF THERE REALLY IS ONE! I also saw a post on Sue Wallis’ page from Theresa from Willing Servants (which has since been deleted) about “harvesting some AR activists.” This woman calls herself a Christian? Last time I checked, “Thou shalt not murder” is still one of the 10 commandments. I wonder why you ask “What would Jesus do?” – like Judaism and Islam Christianity is deeply anthropocentric. In the bible animals (ultimately the whole nature) serve as examples of God’s glory or they serve man.But they haven’t rights nor they exist because of them. St. Francis and his alleged attitude towards animals is the exception rather than the rule. Really… With “Christian” horse “friends” like this… Who needs enemies? I can’t imagine living a confined life like this to eventually be brutally slaughtered… Or, guess I can – It’s just like the cows, pigs and chickens. You always write beautifully, Kathleen. Every commenter makes good points. Joachim, I think animals should serve not as the enslaved property of humans but as examples of God’s glory, if, that is, one believes that their intrinsic qualities are made by Deity. It always amuses me that the pro-slaughter set talks on the one hand of drugs from chemically euthanizing and burying horses poisoning the land but then turns a deaf ear to the notion that drugs in those same bodies are potentially poison consumers of horse flesh. A month or more ago, a dog-trainer friend of mine in Montana (www.helpyourdog.com) clued me in on Willing Servants’ hypocrisy. She said several volunteers walked away from the “rescue” in disgust once they learned of the so-called “Christian” stance its founder had taken vis a vis horse slaughter. Theresa reminds me of an Illinois horse rescue founder named Donna Ewing who was cozy with the slaughter business when Cavel was up and running. I never could understand her duplicity, and Theresa is just as much a mystery to me. Although pro-slaughter types are touting it as a victory, ALC notes many instances inconsistent with that outcome. http://billingsgazette.com/news/state-and-regional/montana/article_39f6f766-05b8-5246-a51d-c9e7ae2553cc.html Be sure to read the last 3 paragraphs. I agree, CQ, good points made in the comments section, yours included. Lorien, I’ll meet you at the wall. Uv lamba satşı uv cihaz satış bakım ve teknik desteği ile sizlere en mükemmel hizmeti vermekteyiz.